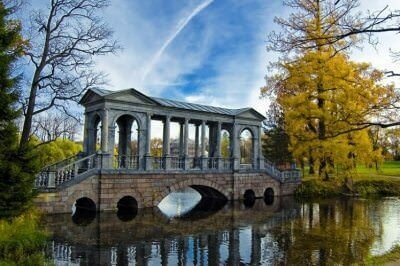 The duration of an private guided tour to Tsarskoye Selo, now the town of Pushkin, is for 4 hours. (If it is not within the limits of Saint-Petersburg, it is spelt out individually). Tsarskoye Selo is a charming suburb of St. Petersburg. The world-famous Alexander and Catherine Palaces with the surrounding cognominal parks with an area of about 300 hectares are situated here. 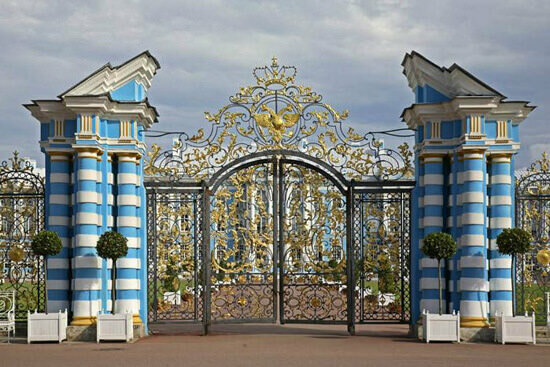 Those who love well-organized space like regular gardens with perfectly cut bushes, neat paths and numerous statues. Landscape parks, looking like woods, emerging buildings as if by magic, will appeal to nature lovers. 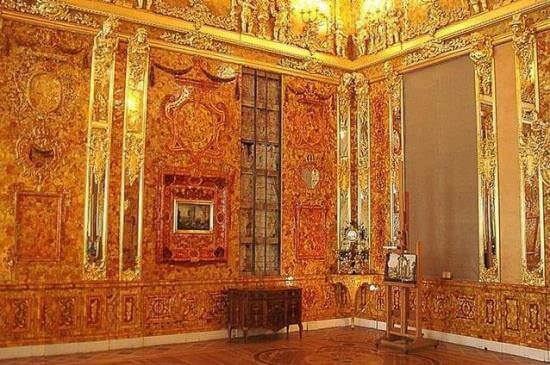 The world famous Amber Room takes a special place in the guided tour. 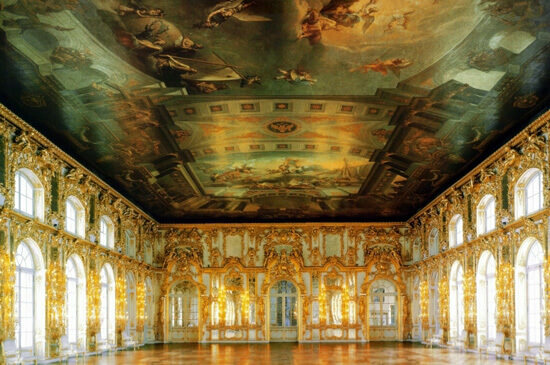 Many of the things that we can see during the tour are recorded in the List of World Cultural Heritage of the UNESCO. 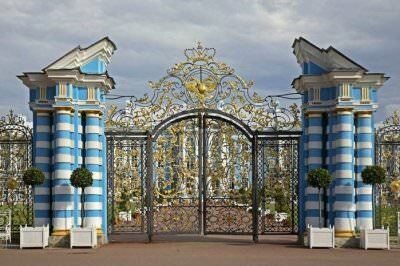 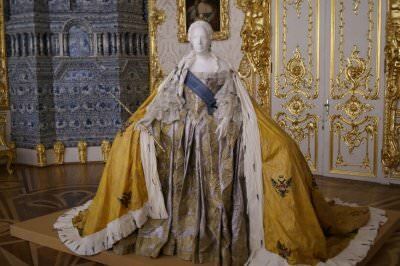 Our way to Tsarskoye Selo will be along the very road along which the royal family got to their suburban residence some time ago. 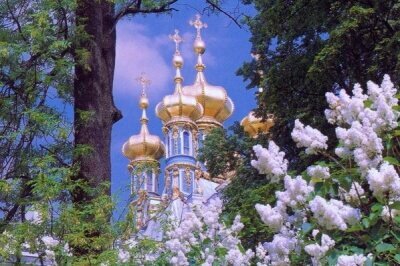 Along the way, “St. 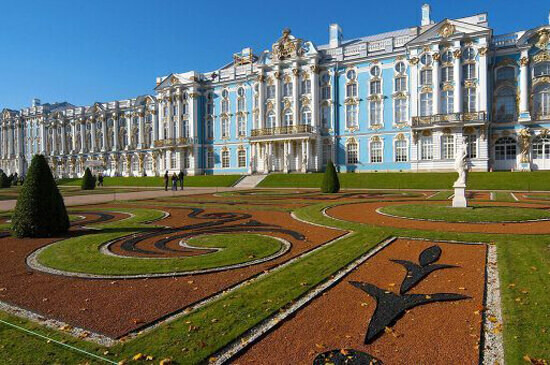 Petersburg Travel” offers you to see plenty of attractions: Pulkovo Heights – the heroic front line during the Second World War, the Egyptian Gates, built in the early of the 19th century at the entrance to Tsarskoye Selo, the Kitaeva’s summer residence where Alexander Pushkin spent the summer of 1831 with his young wife Natalia Nikolaevna Goncharova (now, the Pushkin Museum is situated in the summer residence), the Alexander Park, and, of course, near the Catherine Palace, you will see the famous Tsarskoye Selo Lyceum, perhaps, which is the most famous educational institution in our country, and the place where young Sasha Pushkin grew up. The Catherine Park is a garden and park ensemble, which includes luxury pavilions and gazebos, sculptures and monuments, lush vegetation and calm ponds. The Catherine Palace is the palace designed by Francesco Rastrelli for Catherine I, its luxurious great halls, including the Great Hall of the Palace, the Arabesque Hall, the Knights' Dining-room, the White Grand Dining-room, the Crimson Dining-room, the Green Dining-room, the Portrait Hall as well as the Grand Staircase and bedrooms. The famous Amber Room is a recognized gem of Catherine Palace, which many people call “the eighth wonder of the world”. 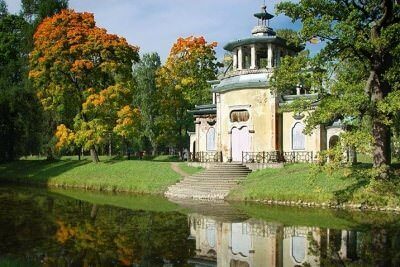 We providing private guided tours to Pushkin (Tsarskoye Selo) in English, German and other languages.